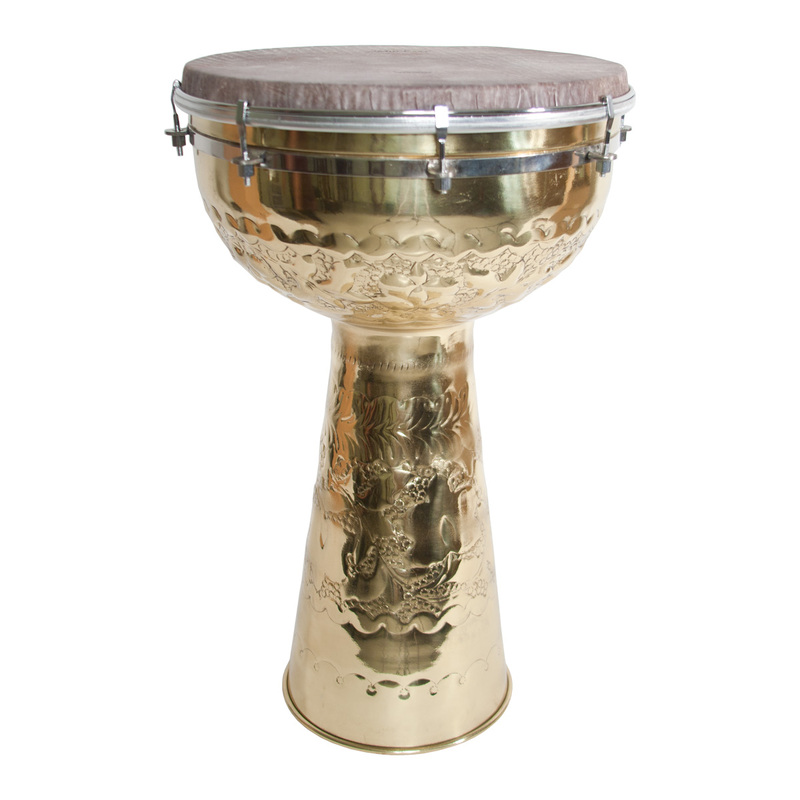 Mid-East 20 x 12 Inch Doumbek Brass SKYNDEEP Head Tunable. 12 x 20 inch Brass doumbek embossed with floral patterns. 12 inch REMO Skyndeep head is tunable with bolts. The brass finish will have, or develop, an attractive antique patina over time. However, if you prefer the high shine, we recommend Brasso as a good polish. Includes tuning wrench.